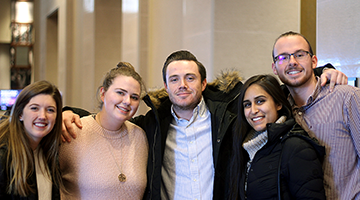 Thanks to the generous support of the Alpha Kappa Psi Foundation and its donors, the fraternity is able to offer you many educational opportunities. 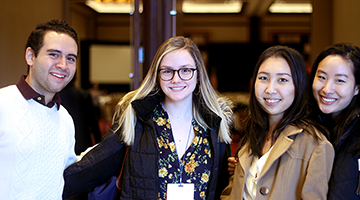 The foundation’s Case Competition introduces students to the realities of decision making—including incomplete information, time constraints, and conflicting goals–giving them first-hand experience in analyzing business situations. 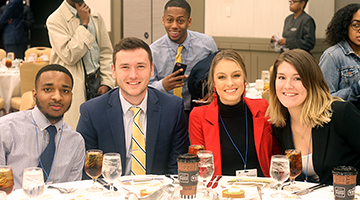 The College of Leadership program is designed to be interactive discussions to give attendees the opportunities to learn and share ideas from business professionals, AKPsi leaders and chapters from across the fraternity. 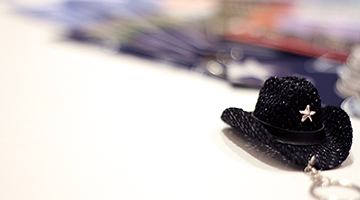 The Convention is held every two years and consists of two main parts – the Chapter Congress Meeting and the College of Leadership. Additional events include the Celebration of Brotherhood, Brothers Night Out, and the Grand Banquet. 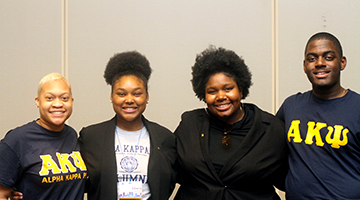 The Chapter Achievement Pathway track, formerly known as Officer Training, is an educational leadership experience held at PBLI and is designed to provide collegiate chapter officers with learning focused on serving others, chapter operations, and how to create an officer success plan. 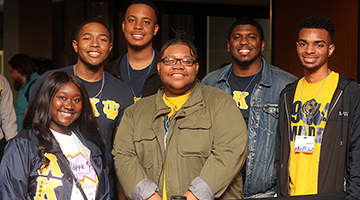 The Academy is an all-expenses-paid fellowship to a custom designed, hands-on, leadership experience designed to make even the best of Alpha Kappa Psi more impactful, value-based leaders. 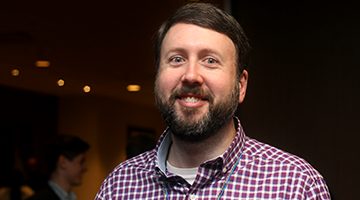 This three-day conference is for faculty and chapter advisors who want to go further than the basics and want to gain education on the “bigger picture” of working with successful chapters and be a better resource. This educational leadership experience is designed to provide chapter and colony presidents with in-depth learning concentrating on serving others, self-awareness, chapter operations, understanding vision, and how to create a chapter success plan. Held in different cities across the country, the Principled Business Leadership Institute offers individuals a structured program focusing on professional skill building at the individual level, while allowing for the opportunity to network with other members and business professionals. 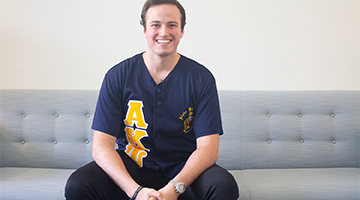 Learn about the Alpha Kappa Psi Foundation.